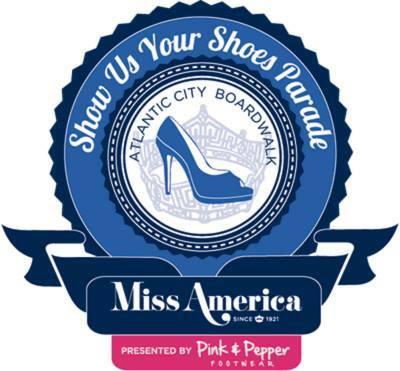 For the first time in history, the Miss America Show Us Your Shoes Parade presented by Pink & Pepper will broadcast live on PHL17 on Saturday, September 14th from 6pm – 8pm EST. An encore presentation of the parade will air September 15th, 4pm- 6pm EST on WPVI-TV, 6abc, the official media sponsor, before the 2014 Miss America Competition begins on ABC. The parade is a celebration leading into the final night of the 2014 Miss America Competition’s live broadcast on ABC from historic Boardwalk Hall at 9 p.m. EST on Sunday, September 15. The two-hour parade will kick-off at Rhode Island Avenue at 5:00 p.m. Measuring a distance of approximately two miles, the full parade route stretches from Rhode Island Avenue to Albany Avenue with a special performance viewing area in front of historic Boardwalk Hall. More than 200,000 people are expected to view this spectacular display along the famed Boardwalk. This entry was tagged atlantic city, Miss America, Miss America Show Us Your Shoes Parade Makes History, Show us your shoes. Bookmark the permalink.